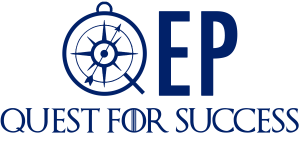 Quality Enhancement Plan (QEP): Quest for Success places advising at the forefront of a student’s academic and personal success. GHC believes, and research supports, that with purposeful and holistic advising, students will be able to develop a meaningful educational plan, set academic and career goals, and achieve these with increased persistence and success rates. Quest for Success aims to increase the value of the student experience at GHC be emphasizing advising as a core component of learning in a two-pronged effort. First, students will participate in ongoing, goal-focused advising enriched by investigations into cognitive and non-cognitive factors influencing the student’s progress towards goal completion. Second, faculty and staff advisors will undergo intensive training as a required component of ongoing professional development.